Google has named Susan Wojcicki, SVP of Advertising & Commerce, as the new head of YouTube. She replaces Salar Kamangar, who will be taking another position at Google, though it is not yet clear what this will be. Google's CEO Larry Page paid tribute to Kamangar and his team, and welcomed Wojcicki's "healthy disregard for the impossible." Wojcicki is a relatively low-key executive, but she has a long history with the company. She was the sixteenth employee and even let the firm use her garage as an office in its more humble days. The appointment was first leaked by The Information, which cited two sources close to the company. It was later confirmed by Wojcicki on Twitter and by Google in a statement. Wojcicki was instrumental in convincing Google to buy YouTube in 2006 for $1.65 billion (£1 billion, AU$1.84 billion). The video sharing startup was hammering her own Google Video unit at the time, so acquisition seemed like the wisest choice. That decision proved to have been a good one, with the site reportedly making $5.6 billion (£3.43 billion, AU$6.24 billion) from advertising last year. 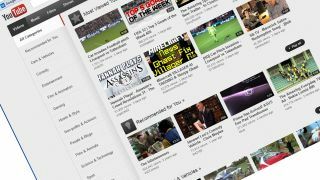 Her previous experience with Google's ad unit could help with further monetisation of the popular video platform, though some users already complain about the abundance of ads they are forced to watch. "Excited to join #YouTube - wonderful team, amazing community & inspiring creators. I look forward to watching a lot more videos during work," Wojcicki tweeted.